Lazer Planet at Scotkart indoor karting in Clydebank offers groups, individuals and birthday parties an amazing Sci-Fi lazer tag adventure, in a unique indoor arena rated a 4 Star Activity centre by Visitscotland. Fed up with Fortnite? Been sitting about all half term? 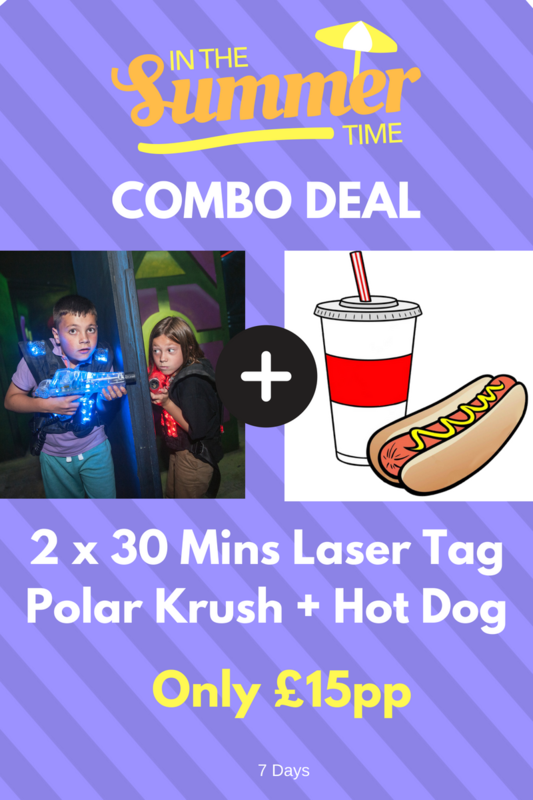 Why not head down to Laser Planet Clydebank for some intergalactic fun, we have 6 missions PLUS a Hot Dog & Slush for only £15pp. Open from 4pm today. 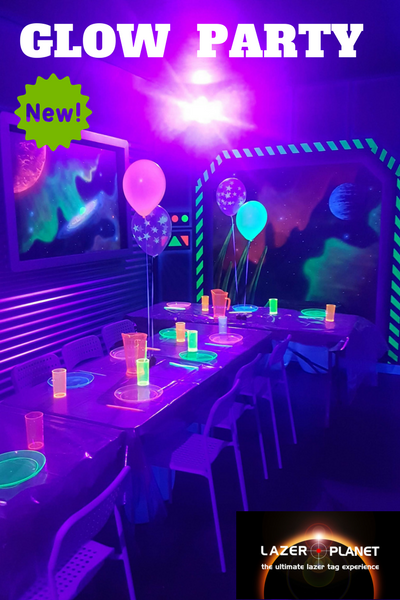 Lazer Planet ultimate laser tag offers you the best laser tag parties in Glasgow, and now you can make your party even more special by booking the brand new glow in the dark party room. Unique multi-level sci-fi themed arena, complete with theatrical smoke, lighting, and sound effects. 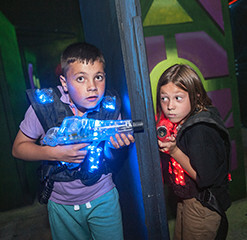 Solo and team missions – most laser tag arenas offer you only 2 games, at Lazer Planet you get 6!!!! 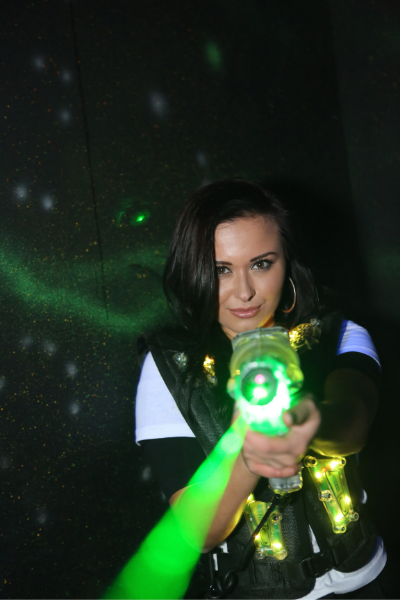 You can book your Glasgow glow in the dark laser tag party at ScotKart now by calling 0141 641 0222, e mail [email protected], or book online HERE (Select Clydebank). 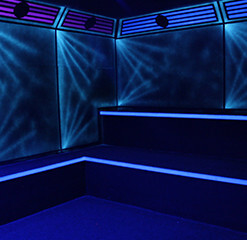 Parties are only £17pp, and can be booked for between 12 and 20 guests. 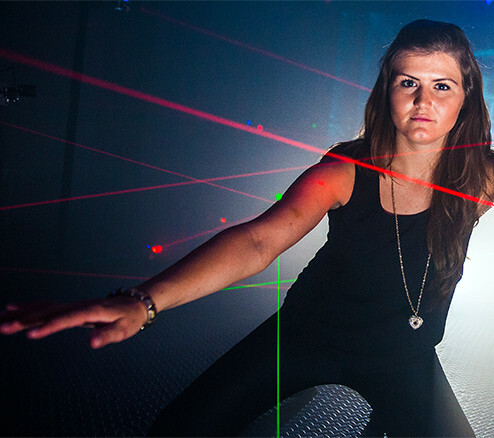 PLUS for only £1pp more you can add a Lazer Maze Challenge to see who is the fastest through the security beams to crack the vault! (normally £2pp). All games are open play,exclusive use of the arena is available when 20 places are paid for.